A fortnightly drama improvisation class for all ages and abilities. No previous performance or acting experience is necessary and beginners are very welcome. The sessions involve simple drama based games and exercises to help you learn useful life skills, increase self-confidence and have a lot of fun. We are delighted to welcome Devaki back to the studio after her popular workshop earlier this year. 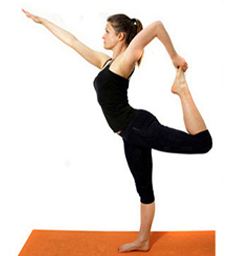 Devaki is an experienced, Bristol based yoga teacher who has created Curvy Girl Yoga. 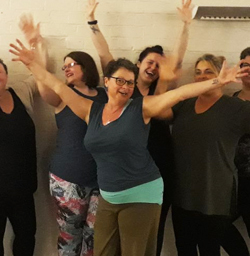 Curvy Girl Yoga is a unique yoga class that seeks to provide a safe, comfortable, supportive environment for ladies size 16 or more to practice yoga. These Vinyasa krama yoga workshops are for Yoga students who wish to commit to developing their own personal Yoga practice by learning in class and then practising at home. 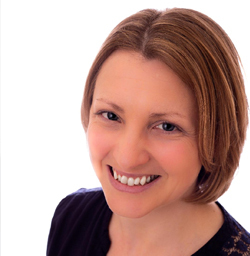 Sadhana on Sundays will run on the third Sunday of each month at the Yoga Studio in Torquay. 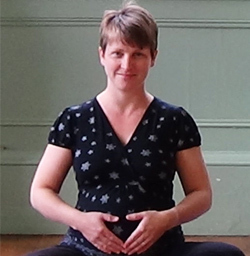 This birth preparation workshop focuses on using yoga techniques to help you cope with labour and have a positive, enjoyable birth. Knowledge is power; if you are familiar with the stages of labour and what is happening in the body then you are more likely to stay calm and adopt positions and behaviours that help labour progress. This workshop gives you skills which you can use to calm down, reduce anxiety, switch off thinking and focus on breathing. A workshop for anyone interested in immersing themselves in the deeper aspects of yoga. Experience the yoga sūtras, the śiva sūtras and the 16 divine mothers. How do you pronounce the bīja mantraḥ, and what is the true significance of the mystical sound oṁ. 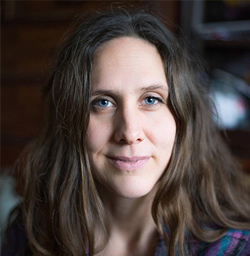 Lucy Crisfield, speaker at the World Yoga Festival and plenary speaker at the British Wheel of Yoga London festival, will be bringing the ‘Sounds of Sanskrit ~ the language of yoga' to Torquay. Celebrate the Summer Solstice with a whole day of holistic yoga at the seaside town of Torquay in the heart of the English Riviera. 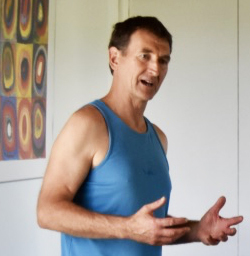 A day of holistic yoga with Duncan Hulin - founder and director of the Devon School of Yoga. This holistic workshop will include: breath based kriyas, preliminary exercises, asana, pranayama, meditation and chanting. 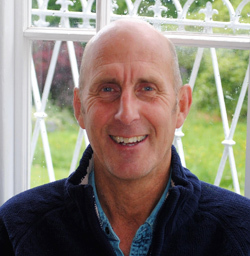 Duncan is the principal teacher, founder and director of The Devon School of Yoga and the organiser of The Devon Yoga Festival. 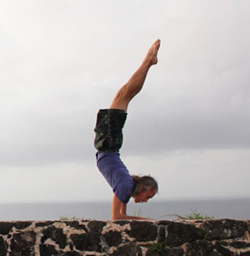 He is a founder member of the IYN (Independent Yoga Network) and has been practising yoga for 35 years and teaching for the past 30 years. This is a workshop for those with some yoga experience who would like to deepen their practice and understanding of Iyengar yoga. During the workshop we will explore pranayama (breathing techniques) using different prop supports to encourage openess, followed by asana practice (postures) focussing on techniques to establish greater alignment, depth and understanding of the asanas. Through the asanas we will seek to find better ways to manage the mind. Practicing with conscious awareness and a focus on alignment not only facilitates the sustaining of the posture but holds the practitioner present within the practice. We are thrilled to welcome Sri Vijay Gopala to Torquay as part of his UK tour. Vijay has been teaching Yoga for more than 20 years and is also a personal trainer who provides one-to-one life transformation sessions and self-evolving programs. 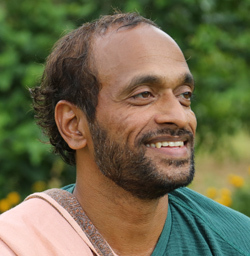 Born in Mysore, India, from his childhood, Vijay Gopala was drawn to the discipline of yoga thanks to his father who guided and taught him in a very serene atmosphere. The main focus of this class is centred around the fluid movements of soft and hard form vinyasa and how to expand this philosophy to create flow in your daily life – a variety of yoga postures – both easy and challenging will be used. Explanation will be made as to how the fluid energy lines of vinyasa in your yoga practice can affect your daily life in a positive way. A connection is made to help create a flow in your diet, at work in relationships and throughout your daily life. I attended a lovely workshop with wonderful teacher Cicely at this beautiful Yoga studio in the very heart of Torquay. The Studio is light, well equipped, and beautifully decorated.